Historically this has been primarily been perceived as a women's issue not a men's issue. As a community we need to adapt this thinking in order to create change. Sexual violence is not solely women's or men's issue but rather a human rights issue. For years women have fought hard, done amazing work and impacted great change in the way we view sexual violence. It is time for men to follow this leadership and step up as allies in ending sexual abuse and sexual assault. 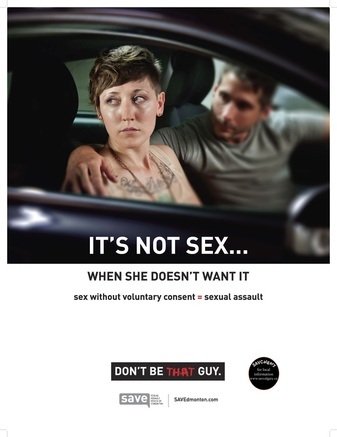 Sexual assault is a crime that comes with a great deal of stigma and can often be very difficult to talk about. By getting involved you are becoming a voice for sexual assault survivors and an ally in ensuring that survivors are never blamed for the crimes committed against them. 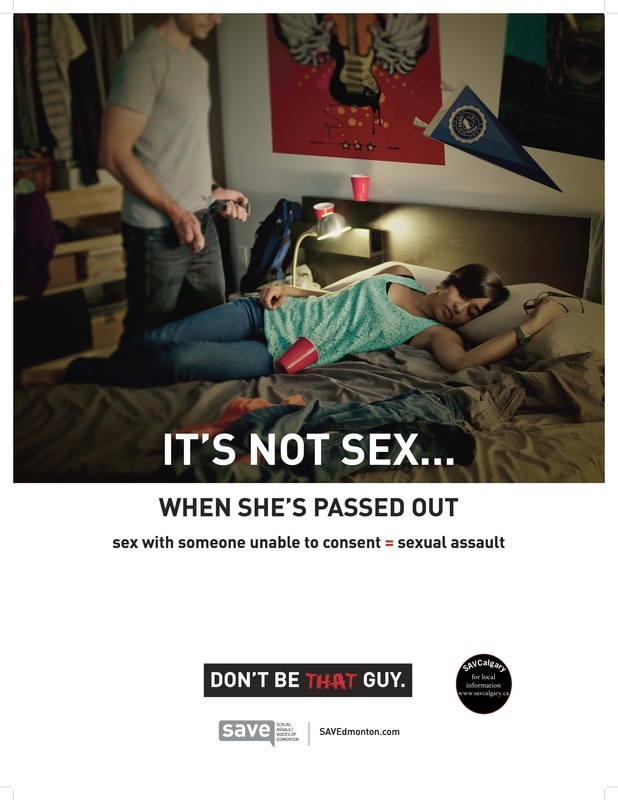 Download these posters and carry the message of consent and responsibility forward.